Tabernacle replica at Timna Park (Israel). Photo courtesy of Timna Park. ​Mishkan Ministries (Mobile, Alabama): A "traveling biblical museum" that features a replica of the Tabernacle, as well as King Solomon's Temple and Noah's ark. The attraction's largest feature is the Holy Land tour: a "3-hour interactive Biblical teaching tour, [where] you will explore the ancient Middle-Eastern culture in which Jesus was raised and will meet characters from the time of Moses to the time of Christ." Also, there is an outdoor theatre that stages a daily Passion Play, a Tabernacle replica, and a Bible Museum. Mobile replica of the Wilderness Tabernacle, the ministry originated in California but tours nationally. Part of a ministry organization, the "antique Bible Museum" features rare Bibles and Bible-related manuscripts. The site also features a replica of the Tabernacle in the Wilderness. Numerous biblical re-creations on site, from 7 species garden to Tabernacle, Abraham's tent, and parted Red Sea. 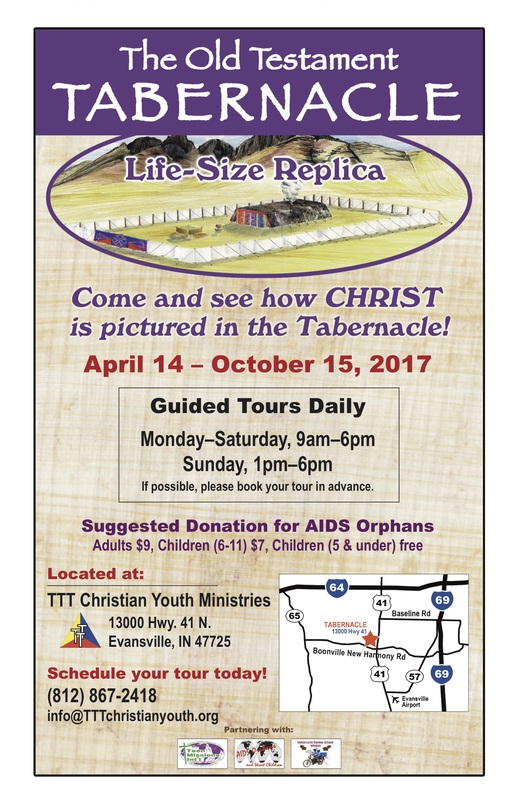 Mobile Tabernacle replica based in Harrah. Owned and operated by the Mennonite Information Center. Inside the "full-sized" tabernacle is a "full-size, wax figure of the high priest" with "authentic robes," and "made-to-scale" replicas of the Golden Candlestick and Table of Shew Bread. Replica "using the original materials and scale dimensions described in the text of Exodus." One of the first museums in the nation to provide a six-day creation layout, the creation museum at Living Waters Bible camp features hands-on activities, expansive animal and insect displays, and more, in service of its mission "to draw people closer to Jesus Christ." 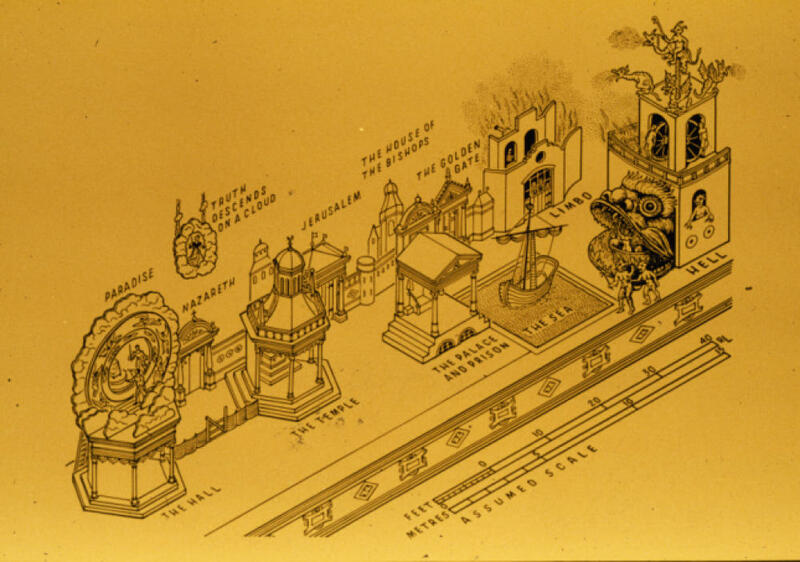 The attraction also features a Tabernacle replica [cf. Re-Creations]. This "exact replica" of Solomon's Temple was created by the neo-Pentecostal Universal Church of the Kingdom of God. Portions of the attraction were built using stones flown in from Israel. Adjacent to the temple is a Tabernacle replica. This historic and geological park includes a replica of the Tabernacle, including replicas of "the altar, the laver, and the magnificent priestly garments, including the breastplate and ...the Table of the Shewbread, the candelabrum, the incense altar and the Holy of Holies."